Hello everyone! 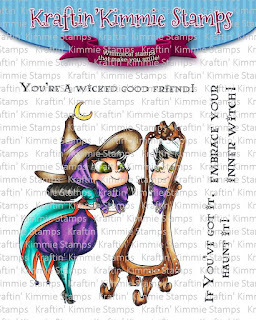 Welcome to Day One of the Kraft Jimmie July New Release! 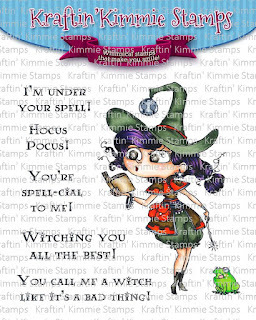 For my card I used Witch Wanda! Both of these Witches are Fabulous! Isn't she just Fierce! And I love that sentiment! The hop Order will be Below! I hope you enjoyed todays Sneak Peek! Pop back tomorrow to see more! Oooh what a beautiful card, its gorgeous!!! The image is so sweet! Fun bold colours. Looks great! Love all the spiderwebs. Stunning card. Love all the spider webs and your beautiful coloring! Awesome card! Such a cute card, love the spider webs and colors. Totally fierce! Love her! I love purple! Fabulous coloring and a gorgeous assortment of dies! I love this card! The cobwebs are fabulous and the colours are stunning. wow, so awesome... your coloring is just gorgeous!! love all your layers and details!! Wow! Absolutely gorgeus card!!! Beautiful stamp sets! Love these cutie witches!!! Eeeeeeeeek this is drop dead gorgeous. 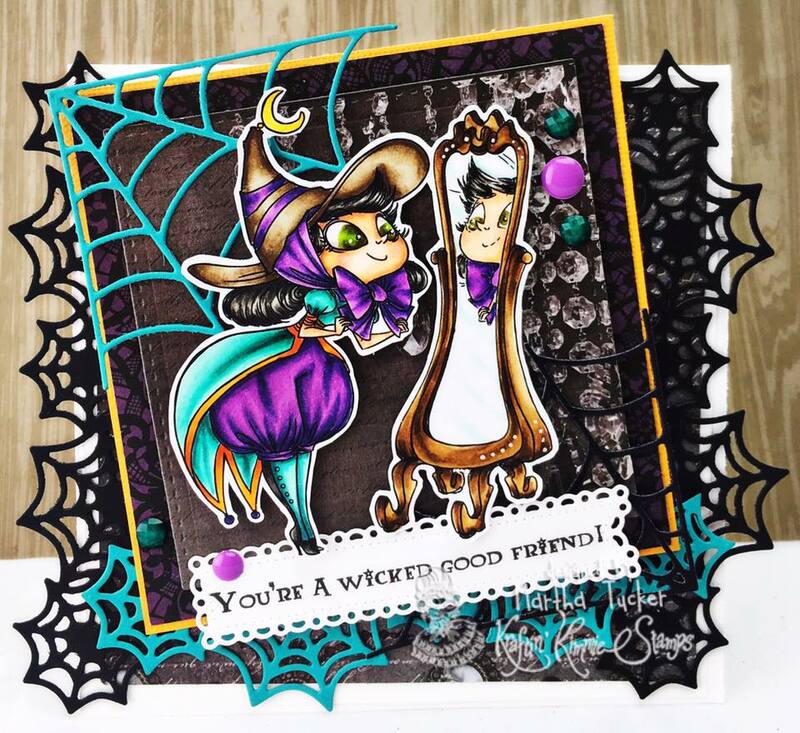 I love tour coloring, your color choices, and all those spider web dies! A++++++ work girlfriend! Wowie, these colors are amazing together. You did an awesome job. Martha, your coloring...as always, is just stunning. STUNNING!! What a fabulous card, I love the pop of teal! I LOVE LOVE LOVE this card!! The design, the colors, the coloring...everything!